Are Tremors the Only Symptom of Parkinson’s Disease? You are here: Home / Blog / Challenging Diseases / Are Tremors the Only Symptom of Parkinson’s Disease? When many people think of Parkinson’s disease, the first thing that they think of is tremors. A person who is living with Parkinson’s disease who is shaking or having difficulty with normal daily activities because of their trembling is a common image, but as a family caregiver it is important for you to recognize that tremors are not the only symptom of Parkinson’s disease. 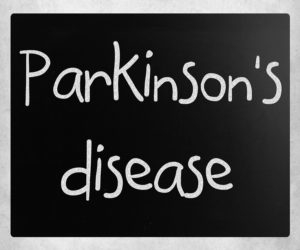 Not only are there further symptoms of Parkinson’s disease, but not everybody who develops Parkinson’s disease will experience tremors as a part of their personal symptoms. Homecare Hollywood FL – Are Tremors the Only Symptom of Parkinson’s Disease? Every person who develops PD has an individual experience with the disease and will develop a personal set of symptoms, limitations, and challenges. Approximately 70 percent of those who develop Parkinson’s disease will have tremors as their first or even primary symptom. The other 30 percent, however, do not experience tremors. This means that simply because your elderly loved one is not experiencing tremors does not mean that they are not suffering from Parkinson’s disease. It also means that if your aging loved one does start to show signs of tremors it does not necessarily mean that they are suffering from Parkinson’s disease. In fact, those who start to experience tremors are far more likely to be suffering from a condition known as “essential tremor” rather than Parkinson’s disease. It is very important if your aging loved one starts to show changes in their behavior or condition, such as tremors, shaking, or inability to control their movements, that you get in touch with their doctor to discuss your concerns. The doctor can examine your loved one and give them an accurate diagnosis. This is extremely important to making sure that your elderly parent gets on the course of treatment and management that is right for their individual condition and needs. If your aging parent has been diagnosed with Parkinson’s disease or their symptoms have increased to the point at which you do not feel confident that you are giving them all of the care that they need as they age in place, now may be the ideal time for you to consider starting elder homecare for them. An elderly homecare services provider can be with your aging parent on a customized schedule that is right for their individual needs, challenges, limitations, and symptoms so that they can pursue an active, engaged, and fulfilling lifestyle while remaining safe, healthy, comfortable, and as independent as possible. This homecare provider can help your parent to understand the condition that they are facing and the instructions, guidelines, and prescriptions that were set forth for them by their doctor. They can then give them support, encouragement, and reminders to help them remain compliant with these instructions and make the lifestyle choices that are right for their needs. Not only does this help your senior to manage the symptoms that they are experiencing now, but also enables them to better prepare for the future symptoms that might develop later in their journey with the disease. If you or an aging loved one are considering Homecare Services in Hollywood FL to provide companionship, compassion and motivation, please contact the caring staff at Responsive Home Care. Call today 954-486-6440.
https://www.responsive-homecare.com/wp-content/uploads/2017/03/bigstock-Parkinson-s-Disease-34738985.jpg 250 300 Debbie Savage, RN, BSN, President https://www.responsive-homecare.com/wp-content/uploads/2019/03/rhc-logo.png Debbie Savage, RN, BSN, President2017-03-22 13:18:342019-03-20 09:54:15Are Tremors the Only Symptom of Parkinson’s Disease?